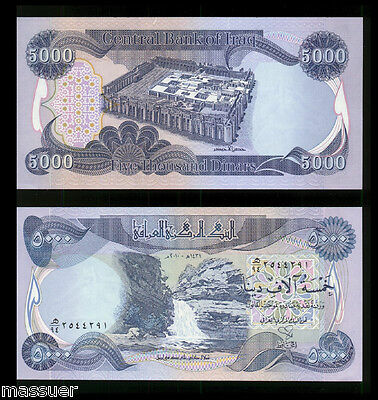 Iraqi Dinar Banknotes, 50,000 Lightly Circ. 2 x 25,000 IQD! 50000 Fast Ship! Popularity - 31 views, 0.6 views per day, 54 days on eBay. High amount of views. 1 sold, 3 available. 31 views, 0.6 views per day, 54 days on eBay. High amount of views. 1 sold, 3 available. Seller - 1,655+ items sold. 0.3% negative feedback. Top-Rated Plus! Top-Rated Seller, 30-day return policy, ships in 1 business day with tracking. 1,655+ items sold. 0.3% negative feedback. Top-Rated Plus! Top-Rated Seller, 30-day return policy, ships in 1 business day with tracking. Iraqi Dinar Banknotes, 50,000 Circulated 2 x 25,000 IQD!! 50000 Fast Ship! Iraqi Dinar Banknotes,100,000 Circulated 4 x 25,000 IQD!! (100000) Fast Ship! 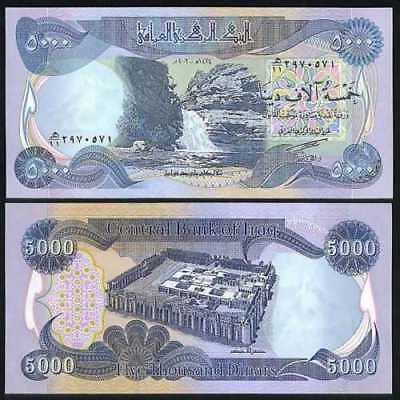 Iraqi Dinar 50,000 Circ. with added Security 1 x 50,000! (2015) 50000 Fast Ship! Iraqi Dinar Banknotes 50,000 Crisp New UNC, 2 x 25,000 IQD! 50000 Fast Ship! Iraqi Dinar Banknotes, 50,000 Circulated 5 x 10,000 IQD!! 50000 Fast Ship! 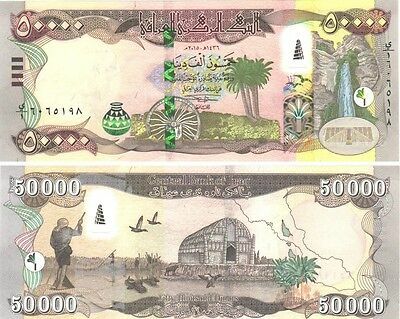 Iraqi Dinar Banknotes, 50,000 Lightly Circ. 5 x 10,000 IQD! 50000 Fast Ship! 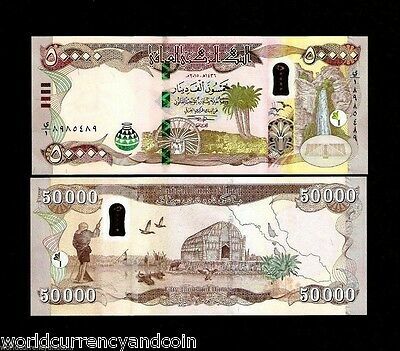 Iraqi Dinar Banknotes, Nu Crisp 50,000 UNC 5 x 10,000 IQD! (50000) Fast Ship! Iraqi Dinar Nu Crisp 25,000 UNC Banknotes, 5 x 5,000 IQD!! (25000) Fast Ship! Iraqi Dinar Banknotes, Nu Crisp 50,000 UNC SEQ 5 x 10,000 IQD! 50000 Fast Ship! 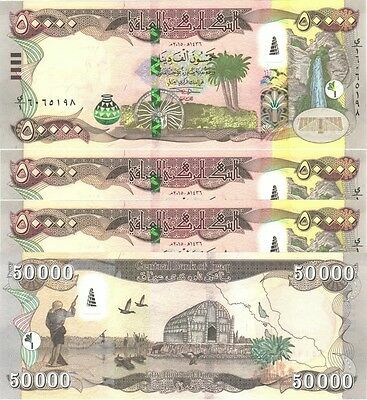 Iraqi Dinar Banknotes, 50,000 Circulated 10 x 5,000 IQD!! 50000 Fast Ship! Iraqi Dinar Banknotes, 10,000 Circ. 1 x 10,000 IQD!! (10000) Fast Ship! 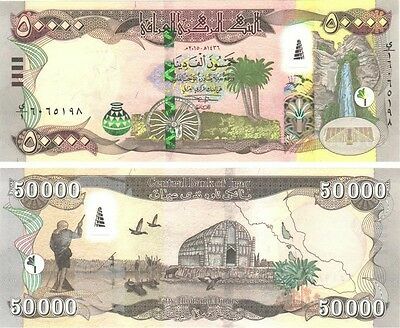 Iraqi Dinar Banknotes, Nu Crisp 50,000 UNC 10 x 5,000 IQD!! 50000 Fast Ship! Iraqi Dinar Banknotes, Nu Crisp 50,000 UNC SEQ 10 x 5,000 IQD! 50000 Fast Ship! Iraqi Dinar 20,000 Circulated Banknotes, 2 x 10,000 IQD!! (20000) Fast Ship! Iraqi Dinar Nu Crisp 20,000 UNC SEQ Banknotes 2 x 10,000 IQD! (20000) Fast Ship! 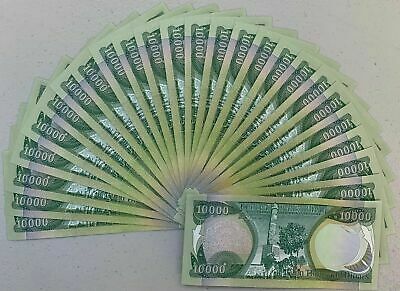 Iraqi Dinar Nu Crisp 20,000 UNC Banknotes, 2 x 10,000 IQD!! (20000) Fast Ship! Iraqi Dinar Banknotes Nu Crisp 10,000 UNC 2 x 5,000 IQD!! (10000) Fast Ship! 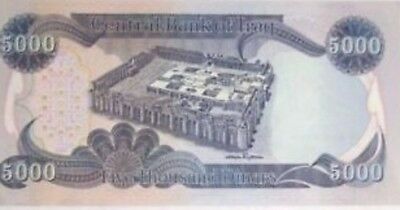 Iraqi Dinar 50,000 Sequential UNC with New Security 2 x 25,000 (2014) Fast Ship! 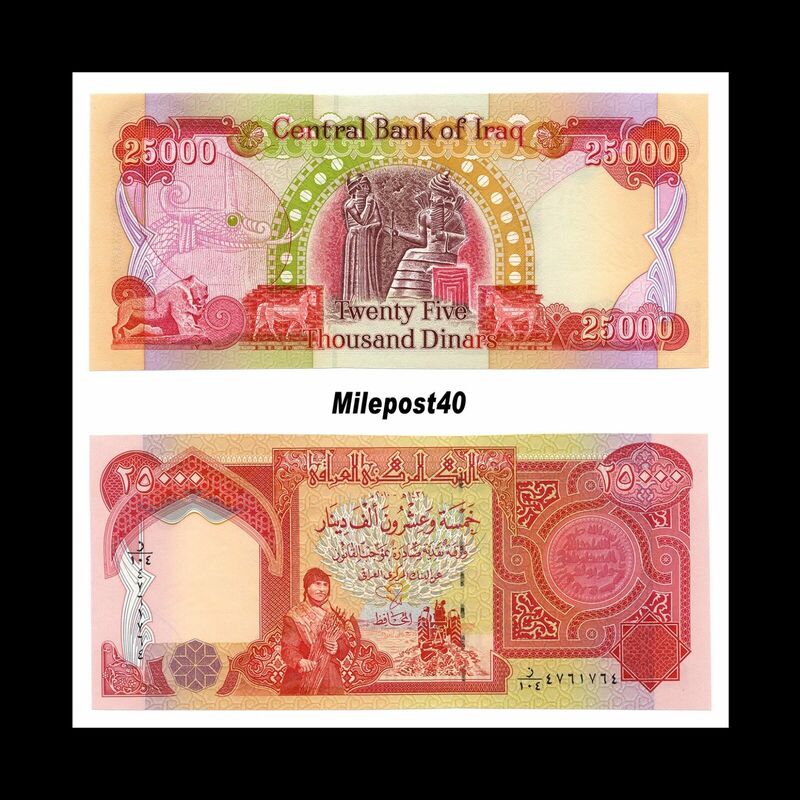 Iraqi Dinar Banknotes, 500,000 Lightly Circulated 20 x 25,000! Fast Ship!! Iraqi Dinar Banknotes, 75,000 Lightly Circ. 3 x 25,000 IQD!! (75000) Fast Ship! Iraqi Dinar Banknotes, 150,000 Lightly Circulated 6 x 25,000 IQD!! Fast Ship! Iraqi Dinar Banknotes, 500,000 Circulated 20 x 25,000 IQD!! (400000) Fast Ship! Iraqi Dinar Banknotes, 75,000 Circulated 3 x 25,000 IQD!! (75000) Fast Ship! Iraqi Dinar Hybrid 50,000 Lite Circ. w/ New Security 2x25,000 (2014) Fast Ship! Iraqi Dinar Banknotes, 100,000 Lightly Circulated 10 x 10,000 IQD!! Fast Ship! Iraqi Dinar Banknotes, 100,000 Circ. 10 x 10,000 IQD!! (100000) Fast Ship! Iraqi Dinar Banknotes, 75,000 Crisp New UNC 3 x 25,000 IQD!! (75000) Fast Ship! Iraqi Dinar Banknotes, 200,000 Circulated 8 x 25,000 IQD!! (200000) Fast Ship! Iraqi Dinar Banknotes, 250,000 Circulated 25 x 10,000 IQD!! Fast Ship! Iraqi Dinar Banknotes, 600,000 Crisp New UNC 24 x 25,000 IQD! Fast Ship! Iraqi Dinar Banknotes, 125,000 Litely Circ. 5 x 25,000 IQD!! (125000) Fast Ship! Iraqi Dinar Banknotes, 200,000 Lightly Circulated 8 x 25,000 IQD!! Fast Ship! Iraqi Dinar Banknotes, 150,000 Crisp New UNC 6 x 25,000 IQD! (150000) Fast Ship! Iraqi Dinar Banknotes, 250,000 Lightly Circulated 10 x 25,000 IQD!! Fast Ship! 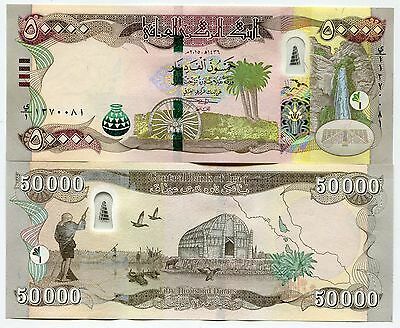 Iraqi Dinar Nu Crisp 500,000 UNC Banknotes, 50 x 10,000 IQD! (500000) Fast Ship! 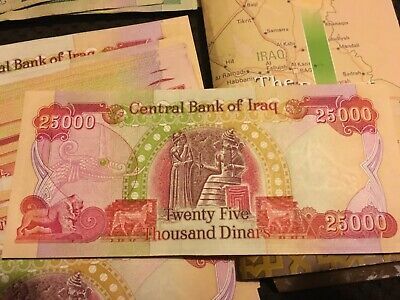 Iraqi Dinar Banknotes, Nu Crisp 250,000 UNC 25 x 10,000 IQD!! Fast Ship! Iraqi Dinar Banknotes, 200,000 Lightly Circulated 20 x 10,000 IQD!! Fast Ship! Iraqi Dinar Banknotes, 150,000 Circulated 6 x 25,000 IQD!! (150000) Fast Ship! Iraqi Dinar Banknotes, 125,000 Crisp New UNC 5 x 25,000 IQD! (125000) Fast Ship! Iraqi Dinar Banknotes, 250,000 Circulated 10 x 25,000 IQD! (250000) Fast Ship! Iraqi Dinar Banknotes, 200,000 Crisp New UNC 8 x 25,000 IQD! (200000) Fast Ship! 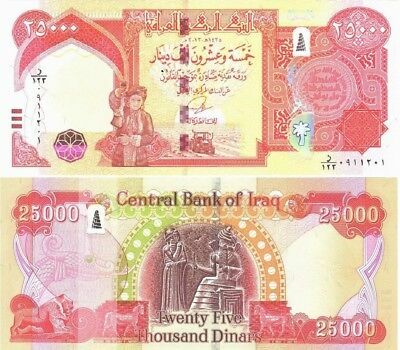 Iraqi Dinar Nu Crisp 250,000 UNC Banknotes, 25 x 10,000 IQD! (500000) Fast Ship! Iraqi Dinar Banknotes, 300,000 Circulated 12 x 25,000 IQD!! (300000) Fast Ship! Iraqi Dinar Banknotes, 400,000 Crisp New UNC 16 x 25,000 IQD! Fast Ship! Iraqi Dinar Banknotes, 300,000 Crisp New UNC 12 x 25,000 IQD! Fast Ship! 700000 MINT IRAQ 14 x 50000 = 700000 NEW IRAQI DINAR IQD 2015-CERTIFIED! Mint Iraq 50000(Fifty Thousand) New Dinar Banknote Iraqi Iqd-Certified! 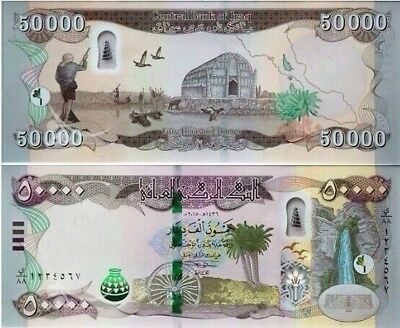 New 50,000 New Iraqi Dinar Banknote 2015 with New Security Features IQD-UNC! 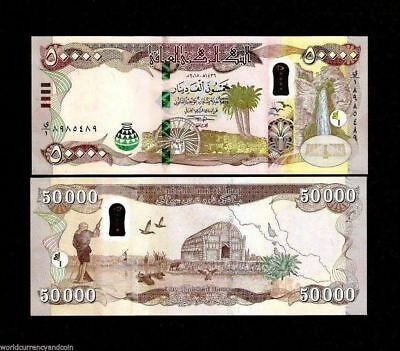 2 X 50000 = 100,000 New Iraqi Dinars 2015 With New Security Features Iqd-Unc! 500,000 MINT IRAQ 10 x 50000 = 500000 NEW IRAQI DINAR IQD 2015-CERTIFIED!